After a season of conversation, evaluation, discernment and prayer, the Monthly Mission Dinners will end following the last Mission Dinner meal on Monday, October 15, 2018. We are so grateful for the leadership the Mission Dinner Team has provided during the last seven years and all those who have participated. These monthly meals have provided wonderful opportunities for members and friends of Eureka UMC to truly be the hands and feet of Christ. God has used these monthly Mission Dinners to help countless persons find encouragement and a connection to the family of God. We are exploring new ways to build on this legacy and to meet the changing needs of our community so that we may continue to be faithful in making news disciples of Jesus for the transformation of the world! We invite everyone that has ever prepared meals, served, donated desserts, and assisted with set up or clean up for the Mission Dinners to join us for a special celebration of ministry during either worship service on Sunday, October 14th. In Acts 15, we find the Apostle Paul, Barnabas, and other apostles and church leaders at a church board meeting at the Jerusalem Church. They were advocating for their outreach mission when some of the regular members started objecting and demanding that new people act and conform to all of their standards and rituals. It is a fascinating story that sounds like some of the meetings I’ve been in over the course of my ministry. Peter very clearly answered these questions. “Friends, you well know that from early on God made it plain that he wanted the outsiders to hear the message of the good news and embrace it” (v. 7). It’s not that Peter didn’t care about those already in the church, but he knew the mission of the church is to reach those who do not know Jesus. It’s also interesting that those already at the church in Jerusalem wanted the new people to act, think and look like themselves. Peter responded to them. “So why are you now trying to out god-God; loading these new believers down with rules that crushed our ancestors and crushed us, too?” (v. 10). James breaks the silence of the board members and said, “So here is my decision: We are not going to unnecessarily burden new Jewish people who turn to the master” (v. 19). We in the Missouri Conference are focused on our vision, “to relentlessly lead our churches to become outwardly focused and spiritually centered Christ followers.” And we are implementing our priorities; one of which is “New Places for New People.” We believe every church can make a difference in some way. It is a fact that new people will think, act and behave differently than us. But, scripture says that it is O.K. as long as they turn to the master. What are you personally doing to reach the outsiders? What is your church doing to create new places for new people in your community? Unless we invest in this priority, we will just keep doing the same old, same old and getting the same old results! The Apostle James was present at the first church board meeting when he summed it up like this, “God at the very outset made sure that radical outsiders were included” (v. 14). Is that your church? Or, are we hoping that they look just like us? 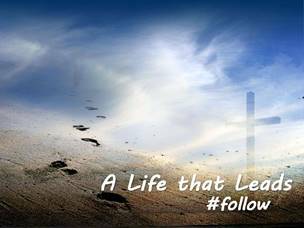 We invite you to join us on Sunday as we continue our October series, "A Life That Leads...#follow"
Jesus invites us into an amazing relationship and on an incredible journey. A journey that will lead us into the deep waters of faith as we follow Jesus. This Sunday we will explore one of the most amazing gifts God has given us, the gift of PRAYER. *We will also be celebrating the ministry of the Mission Dinner during both worship services. During October, our sermon series will explore what it looks like to live "A Life that Leads". In order to lead, we must first follow Jesus. We will be considering some of the basic practices of the Christian faith and how they can transform us towards the likeness of Christ. During November, we will explore the role of the Holy Spirit in our lives. Eureka UMC will be hosting one of two Charge Conferences for the Gateway Central District on Saturday, October 13 from 10:00am-noon in Fellowship Hall. We’re looking for help in making and bringing crockpots of soup and desserts. 100% of the proceeds go towards adopting families for Christmas. Questions? SIGN UP HERE. 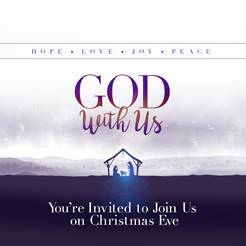 8:00 pm Christmas Eve Service with music led by our choir. Register to serve through links on our website or mobile app today! This is an awesome opportunity to serve as an individual, as a family, or as a group. We encourage people who serve to help offset the cost of the thousands of meals that you will prepare during your shift to make a suggested financial gift of $25.00 (or more). More information is available online or you can visit the Welcome Desk on Sunday morning. Don’t have time to volunteer? You can still help by donating towards the cost of food. CLICK HERE TO DONATE. Please mark donations with “Feed My Children”.